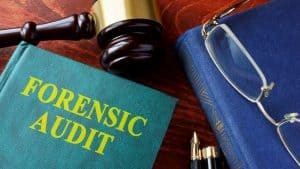 Whether we need to perform in-house or third party examinations, we provide our clients with in-depth forensic services that include data-mining and analysis, public records and asset searches, surveillance, forensic accounting, computer forensics and any other required expert services needed to gather evidence. PFC can assist attorneys with the documentation and support they need for their cases. We can help legal professionals understand the complex issues regarding accounting, finances, taxes and more that pertain to their case. We also provide the necessary financial and account analysis, account tracing, and are able to calculate the potential damages or business losses needed. Our in-depth investigative analysis helps attorneys and corporate litigators have a better understanding of the finances and tax issues surrounding their case. Our team uses our accounting skills to investigate cases of fraud, embezzlement or kickbacks and we assess financial information to generate reports that are used in legal proceedings. Learn more about PFC’s Forensic Accounting and Financial Investigations. Fraud is a common concern for most business owners and without adequate prevention or detection practices in place, your business is at high-risk. Fraud does not just occur from the outside – it can happen right inside your own company. PFC’s team of fraud prevention and detection experts help weed out liabilities and evidence regarding past fraud. We also offer an in-depth fraud risk assessment – which tells you what weaknesses you have within your process so that you can potentially thwart any fraudulent activity in the future. Learn more about our Fraud Prevention and Detection Service. Attorneys rely on PFC for our forensic accounting and auditing services. As industry experts, we serve our attorneys in the courtrooms with expert testimony – for both personal and business litigation. Our extensive experience in auditing, investigations and accounting make Palma Financial Consulting uniquely qualified to provide the expertise and testimony needed in multiple types of cases or legal disputes, including divorce cases, estate and probate matters, contract disputes and business litigation cases. Learn more about our Litigation and Dispute Support Services. PFC is here to help with your financial investigation and forensic auditing concerns. Be sure to check out our financial consulting blog for more valuable information in this industry and our testimonials to see why you should use PFC! If you are not sure which level of service is right for your situation, contact us today for a consultation at (281) 668-9168.